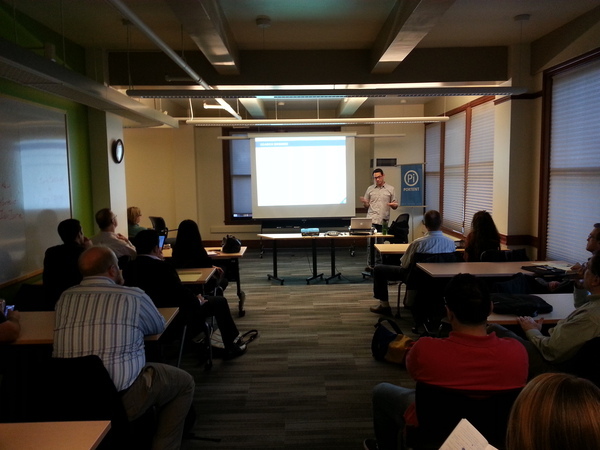 I've given talks on SEO for small businesses, techincal SEO and more. If you're interested, let me know and we'll craft a presentation specifically for your needs. I don't have anything scheduled right now, but check back soon for the latest! 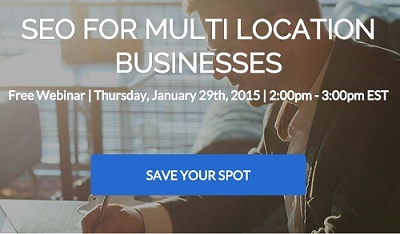 On January 29th I did a free webinar on SEO for Multi-Location businesses with Powered by Search. In October I spoke with Seattle-based ticking company Brown Paper Tickets about how to use SEO to promote your event online and attract record crowds with the Internet. 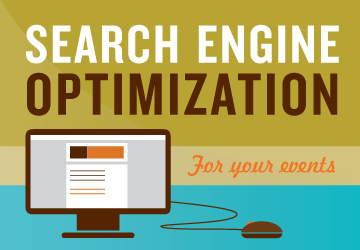 Event Marketing: SEO 101 from Brown Paper Tickets on Vimeo. 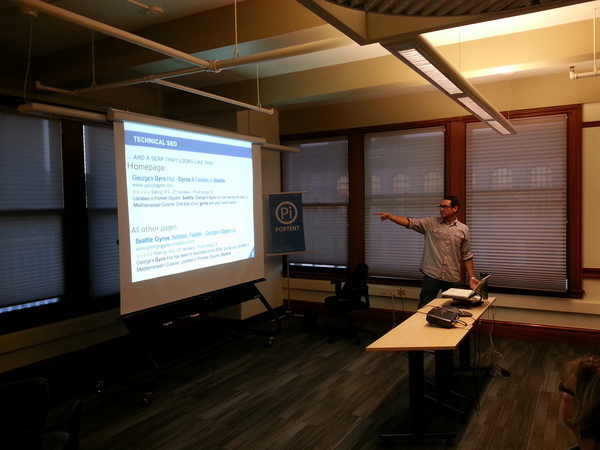 Or just view the slidedeck here. This is a slidedeck from a webinar on local SEO. If you want to watch it, go over the Portent website and check it out.